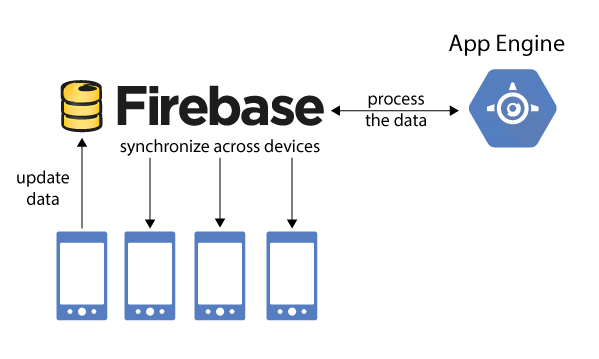 Firebase — a platform for building mobile apps, offering realtime data storage and synchronization, user authentication, and more. Android Studio — an Android development environment based on IntelliJ IDEA. Cloud Tools for Android Studio — a set of tools included with Android Studio, that integrate with Google Cloud Platform services. Google App Engine — an environment for running application code in the cloud; Platform as a service (PaaS).